China Lending Corporation (NASDAQ: CLDC) shares jumped 145.55 percent to close at $4.69 on Tuesday. Ascent Capital Group, Inc. (NASDAQ: ASCMA) gained 44.23 percent to close at $3.75. Sophiris Bio, Inc. (NASDAQ: SPHS) surged 34.82 percent to close at $3.02 on Tuesday. Achieve Life Sciences, Inc. (NASDAQ: ACHV) shares gained 34.21 percent to close at $5.10 after the company reported positive cytisine data demonstrating no clinically significant drug-drug interaction. TSR, Inc. (NASDAQ: TSRI) shares rose 28.93 percent to close at $7.80 after James Hughes requested TSR pursue a sale of the company. Interlink Electronics, Inc. (NASDAQ: LINK) gained 25 percent to close at $4.30. Puma Biotechnology, Inc. (NASDAQ: PBYI) rose 24.36 percent to close at $63.55 after the company reported results of CHMP reexamination of MAA for neratinib for the extended adjuvant treatment of HER2-positive early stage breast cancer. SemiLEDs Corporation (NASDAQ: LEDS) climbed 22.04 percent to close at $4.43. Ability Inc. (NASDAQ: ABIL) gained 20.2 percent to close at $12.02 on Tuesday after climbing 98.41 percent on Monday. Lee Enterprises, Incorporated (NYSE: LEE) gained 19.79 percent to close at $2.88 following news that it will manage Berkshire Hathaway’s newspaper and digital operations in 30 markets. Salem Media Group, Inc. (NASDAQ: SALM) rose 18.89 percent to close at $5.35. China Advanced Construction Materials Group, Inc. (NASDAQ: CADC) rose 18.06 percent to close at $8.50. Ossen Innovation Co., Ltd. (NYSE: OSN) surged 17.63 percent to close at $3.27. CLPS Incorporation (NASDAQ: CLPS) gained 15.85 percent to close at $13.52. Spectrum Pharmaceuticals, Inc. (NASDAQ: SPPI) shares rose 14.59 percent to close at $21.75 as Bloomberg reported that the company has received a takeover interest and is weighing a potential sale. Invuity, Inc. (NASDAQ: IVTY) rose 14.29 percent to close at $4.00. SORL Auto Parts, Inc. (NASDAQ: SORL) gained 13.45 percent to close at $5.06 on Tuesday. 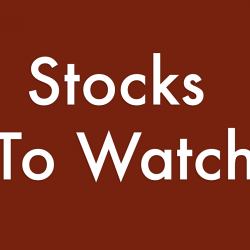 Cocrystal Pharma, Inc. (NASDAQ: COCP) climbed 12.75 percent to close at $3.45. Foresight Autonomous Holdings Ltd. (NASDAQ: FRSX) rose 12.66 percent to close at $3.87. Foresight signed a MoU with a leading car importer in Israel for first sales of Eyes-On system. Argan, Inc. (NYSE: AGX) gained 12.57 percent to close at $40.30. Argan declared a regular quarterly cash dividend of $0.25 per share. Quantum Corporation (NYSE: QTM) rose 12.08 percent to close at $2.32 on Tuesday. Quantum named Jamie Lerner as Chief Executive Officer and President. Sorrento Therapeutics, Inc. (NASDAQ: SRNE) gained 11.81 percent to close at $7.10. Genprex, Inc. (NASDAQ: GNPX) jumped 11.46 percent to close at $8.61 on Tuesday after falling 5.33 percent on Monday. Naked Brand Group Inc. (NASDAQ: NAKD) gained 11.31 percent to close at $5.51. Gray Television, Inc. (NYSE: GTN) shares rose 11.1 percent to close at $16.50 on Tuesday. Puxin Limited (NYSE: NEW) shares gained 10.72 percent to close at $22.62. Castlight Health, Inc. (NYSE: CSLT) rose 9.62 percent to close at $4.28. At Home Group Inc. (NYSE: HOME) rose 8.18 percent to close at $39.35. Morgan Stanley upgraded At Home Group from Equal-Weight to Overweight. Exelixis, Inc. (NASDAQ: EXEL) shares rose 7.98 percent to close at $21.10. Exelixis will replace Copart in the S&P MidCap 400 on Monday, July 2. General Electric Company (NYSE: GE) rose 7.8 percent to close at $13.74. GE is planning to fully separate Baker Hughes, a GE Company along with GE Healthcare, Reuters reported. Lennar Corporation (NYSE: LEN) shares rose 4.86 percent to close at $51.61 after the company reported better-than-expected results for its fiscal second quarter. Gevo, Inc. (NASDAQ: GEVO) declined 23.35 percent to close at $7.65 following announcement of $8 million at-the-market common stock offering. Acorn International, Inc. (NYSE: ATV) shares slipped 22.03 percent to close at $16.02 on Tuesday. Achaogen, Inc. (NASDAQ: AKAO) dropped 20.22 percent to close at $9.59 on Tuesday. Achaogen's tryst with the FDA regarding its anti-bacterial agent plazomicin, as expected, ended with a mixed outcome, just as the FDA panel issued a split verdict on it when it met in May. Achaogen announced Tuesday its Zemdri, the trade name for plazomicin, was greenlighted by the FDA for treating adults with complicated urinary tract infections including pyelonephritis, due to certain Enterobacteriaceae for which there's limited or no alternative treatment option. SELLAS Life Sciences Group, Inc. (NASDAQ: SLS) fell 18.22 percent to close at $3.77. SELLAS Life Sciences reported a proposed 6.017 million share public offering of common stock. Fred's, Inc. (NASDAQ: FRED) fell 16.67 percent to close at $2.10. iClick Interactive Asia Group Limited (NASDAQ: ICLK) shares dropped 15.22 percent to close at $5.46 on Tuesday. Astrotech Corporation (NASDAQ: ASTC) dropped 15.06 percent to close at $3.61. CEL-SCI Corporation (NYSE: CVM) fell 14.1 percent to close at $2.7916 on Tuesday. CohBar, Inc. (NASDAQ: CWBR) dropped 13.53 percent to close at $7.22. Hertz Global Holdings, Inc. (NYSE: HTZ) fell 11.7 percent to close at $16.86. Solid Biosciences Inc. (NASDAQ: SLDB) fell 11.4 percent to close at $38.23. Sibanye Gold Limited (NYSE: SBGL) fell 10.99 percent to close at $2.51 on Tuesday after dropping 2.42 percent on Monday. Soleno Therapeutics, Inc. (NASDAQ: SLNO) shares fell 10.83 percent to close at $2.47. Galectin Therapeutics, Inc. (NASDAQ: GALT) slipped 10.33 percent to close at $6.25 on Tuesday. Fluent, Inc. (NASDAQ: FLNT) declined 10.17 percent to close at $2.65. Axovant Sciences Ltd. (NASDAQ: AXON) fell 9.73 percent to close at $2.32 on Tuesday. Avis Budget Group, Inc. (NASDAQ: CAR) slipped 9.65 percent to close at $34.93 after Morgan Stanley reinstated Underweight rating on the stock. Vascular Biogenics Ltd. (NASDAQ: VBLT) dropped 8.82 percent to close at $2.325. 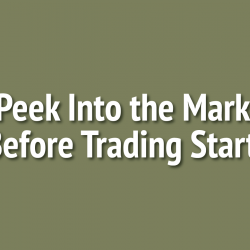 VBL Therapeutics reported a $15.5 million registered direct offering priced at the market. LendingTree, Inc. (NASDAQ: TREE) declined 8.09 percent to close at $226.80. CHF Solutions, Inc. (NASDAQ: CHFS) shares declined 8.05 percent to close at $2.40. Senseonics Holdings Inc (NYSE: SENS) shares slipped 7.3 percent to close at $4.32. Senseonics priced its common stock offering at gross proceeds of $130 million. Incyte Corporation (NASDAQ: INCY) dropped 6.97 percent to close at $66.73. RBC Capital downgraded Incyte from Outperform to Sector Perform. PolarityTE, Inc. (NASDAQ: COOL) declined 6.15 percent to close at $26.41 on Tuesday after dropping 27.34 percent on Monday.